1. How many platforms make up the tower? level 2 stands at 115 m and hosts the Jules Verne restaurant. The highest – level 3 – reaches 276 m (not quite making it to 300 m!). It can be reached by lift only. 2. What is the actual height of the Eiffel Tower? On completion, the tower was 300 metres high. During the 20th century, successive sets of antennae were added to the top of the structure for radio and TV transmission purposes. By 1994, the tower had reached 317 metres. Then in 2008 a new set of antenna increased it to 325 metres. 3. For how long was the Eiffel Tower the highest monument in the world? The Eiffel Tower became the world’s highest monument in 1889 with its 300 metres topping the Washington Monument (169 m). It kept this record for 42 years until the completion of the 319 metre-high Chrysler Building, in New York City in 1930. In 2009, the Khalifa Dubai tower was completed at a height of 810 metres which is equivalent to 2 1/2 Eiffel Towers! An interesting note: the Eiffel Tower is now 6 metres higher than its former ‘rival’, the Chrysler Building, thanks to its new antennae! 4. Is the Eiffel Tower the highest structure in France? No, the Eiffel Tower lost its status as the highest structure in France in 2004 to the Viaduct of Millau (in the Rouergue region). The central pylon of the bridge reaches a height of 343 m.
However, the Eiffel Tower remains the highest monument in Paris. It will certainly stay as such for decades to come, despite the construction of new high-rise towers in La Défense (Paris’ CBD). 5. How many visitors climb the Eiffel Tower each year? As of 1 January 2018 it is estimated that more than 302,848,000 visitors have climbed the tower since its inauguration in 1889. Twice the Eiffel Tower has welcomed more than 7 million people in a year: 7,086,273 in 2011 and 7,097,302 in 2014. In 2017, the number of visitors reached 6,207,303. 6. Is the Eiffel Tower the most visited monument of Paris and of France? However, unlike many Parisian monuments and landmarks, the Eiffel Tower can be seen and appreciated from afar, from a great number of places around Paris. 7. How many visitors can the Eiffel Tower hold at the same time? The answer is more than 5,000. The first platform, at 57 metres, can carry a total of 3,000 people at the same time. The summit of the tower 400 (on two different levels linked by a staircase). 8. Has the Eiffel Tower been centre stage for any world record attempts? Since its inauguration, there have been many crazy attempts made by adventurers with the Eiffel Tower as centre-stage. One of the most – but tragic – cases is that of Franz Reichelt, an Austrian-born tailor, inventor and parachuting pioneer, known as the “Flying Tailor“. Having invented a wearable parachute, he decided to test it from the Eiffel Tower on the 4th February 1912. In front of a thousand spectators, he made his jump, wearing his designed creation. But the parachute failed to deploy and… he crashed onto the ground at the foot of the tower. A short film was taken during this attempt which shows the man’s fall which was released shortly after the event. Another risk-taker was Philippe Petit, the renowned French high-wire artist. In 1989, Petit walked a wire strung from the ground at the Place du Trocadéro to the second platform of the Eiffel Tower. He made it in 30 minutes. What better way to commemorate the 100th anniversary of the Eiffel Tower? In 1972, Petit had previously walked a wire rigged between the two north pylons of the Sydney Harbour Bridge, in Australia. 9. Is the Eiffel Tower strong enough to face strong winds? The Eiffel tower swayed 13 cm during a storm in 1999, which blew at 240 kph. As for the variation of ambient temperature, the top of the tower may shift away from the sun by as much as 18 cm which was recorded during the 1976 heatwave. (Gustave Eiffel had allowed for a variation as much as 70 cm). 10. Who built the Eiffel Tower and why? The Eiffel Tower takes its name from its architect, Gustave Eiffel (1832-1923). But he was not the only one to work on realising his dream. Two engineers from his company, Maurice Koechlin and Émile Nouguier, were also credited for their input into the project. Between 120 and 200 men worked on the site. More than 300 in the workshops at Levallois-Perret (North-West suburb of Paris). During its completion, only one worker – an Italian – tragically died by falling from the first floor. The Eiffel Tower was built for the 1889 Paris World Fair, marking the centennial celebration of the French Revolution. Its position as an entrance arch to the exhibition pavilions located across the River Seine (Trocadéro and Champs de Mars) was celebrated as a grand monument to the glory of France. 11. How long did it take to build the Eiffel Tower? It took only two years, two months and five days to build the tower, which is a remarkably short period of time. The work started in 1887 and the tower was inaugurated in 1889. 12. Who opposed the building of the Eiffel Tower and considered it an eyesore? Many outraged French intellectuals, including Charles Gounod, Charles Garnier and Alexandre Dumas vigorously protested against the project. Through the media they tried to oppose the tower’s construction. Guy de Maupassant chose to eat at the restaurant up the tower. (declaring that this was the only place in Paris he could not see the structure!) The press published outraged critics describing the Eiffel Tower as a “useless monstrosity”. Perhaps today the only rational protest comes from people who nostalgically deplore the new plethora of antennae which mask the original spectacular top of the tower. They regard the additions as ugly and disrespectful of Gustave Eiffel’s work. 13. 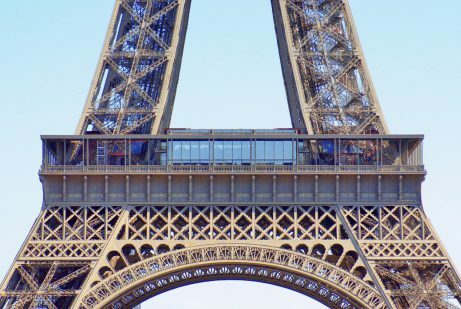 Where does the iron of the Eiffel Tower come from? All the iron which makes up the immense meccano-like structure comes from the iron factories of Messieurs Dupont et Fould. Since closed down, the factory was based in Pompey (Meurthe-et-Moselle), a suburb of Nancy, Lorraine. The Pompey factory needed to supply Eiffel with 18,038 pieces of puddled iron. They were then connected using 2.500.000 rivets by three hundred workers. 14. Was the Eiffel Tower ever close to being dismantled? 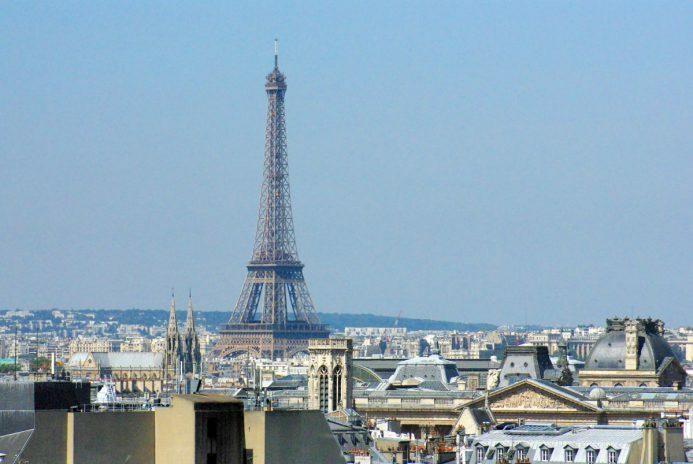 The City of Paris gave Gustave Eiffel a concession which permitted the tower to stand for 20 years, after which it should have been dismantled. The sudden demand for a suitable platform from the newly emerging radio transmission technology saved the tower from demolition. Again in 1944, when the Allies were marching closer to Paris, Hitler gave orders to General Dietrich von Choltitz (the German military governor of Paris) to destroy Paris and the Eiffel Tower… orders which he dared not follow. 15. Which famous people climbed the Eiffel Tower while staying in Paris? The list is rather long… we can however include some names such as Pope John-Paul II, all French presidents, Chinese leader Hu Jintao, singers Edith Piaf, Charles Aznavour and Maurice Chevalier. “They are decorating me because I am the only man in France to have not climbed the Eiffel Tower”. Needless to say the writer’s name is remembered in the gastronomic restaurant at the second level. Then, in June 1940, Hitler posed in a famous picture at the Trocadéro in front of the Eiffel Tower but declined to climb it. His first ever leisure tour of Paris was so quick that he had allowed only a half day to see most of its monuments! It was said that Hitler conquered France, but did not conquer the Eiffel Tower. More recently, on 13 July 2017, French President Macron invited US President Donald Trump to dine at the Jules Verne restaurant on the second platform of the Eiffel Tower. 16. 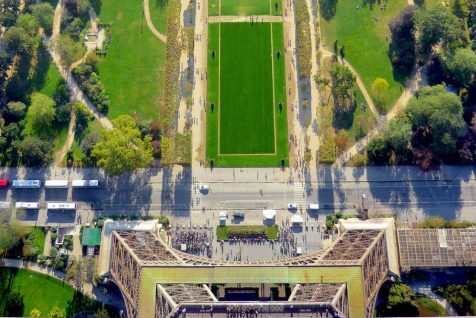 How far can we see from the top floor of the Eiffel Tower? Contrary to urban legend, it is not possible to see mont-Blanc in the far distance in fair weather! But the view is still stunning. It stretches for 70 km, as far as the outskirts of Paris, Charles de Gaulle airport and the countryside beyond the suburbs. If your aim is to admire Paris itself, it is better to come down to the second platform. From where everything will look closer and you will be able to see the city’s most famous monuments in detail. 17. How much does the Eiffel Tower weigh? Did you know that the Eiffel Tower went on a diet! At its inauguration, the tower weighed 11,000 tonnes, compared to 10,100 tonnes today – less than the weight of a cylinder of air with the same volume as the iron structure. 18. Who owns the Eiffel Tower today? The SNTE (Société Nouvelle d’exploitation de la Tour Eiffel), a semi-public company whose main shareholder is the City of Paris. 19. Are there any reproductions of the Eiffel Tower across the world? Yes and there are so many of them: Las Vegas, Nevada (165 m), Walt Disney World’s EPCOT theme park on Lake Buena Vista, Florida, Tianducheng, Hangzhou, China (108 m), Kings Island Amusement Park, Mason, Ohio (101 m), etc. 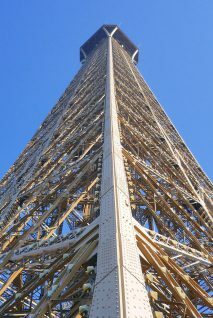 Other towers were inspired by the Eiffel Tower such as Blackpool Tower in England (158 m), Tokyo Tower in Japan (333 m) and the metal Tower of Fourvière in Lyon (86 m). In Australia, we have a perfect example of a tower directly inspired by the Eiffel Tower: the AWA Tower in Sydney. Located at Wynyard, in Sydney’s CBD, the metal structure sits on top of a building, making the structure 100 metres high. It was the city’s highest building until the 1960s. 20. Can we climb the stairs to the top of the Eiffel Tower? Early visitors used to be allowed to climb the 1,665 steps from the bottom to the top of the tower. Now, only the first two platforms can be reached by stairs. If you wish to access the top floor, you will need to use the lift. 21. Can pictures be taken of the Eiffel Tower and published? 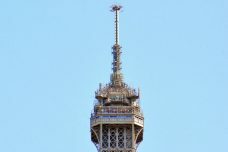 According to the official website of the Eiffel Tower, “there are no restrictions on publishing a picture of the Tower by day. Photos taken at night, when the special lights are illuminated, are subjected to copyright, and fees for the right to publish must be paid to the SNTE“. So, beware if you are using night-time photos of the Eiffel Tower! 22. Are there any restaurants on the Eiffel Tower? YES, definitely! And a very good one too! Le Jules Verne, on the second platform, is a must. And guess what : a special lift is reserved for its customers. Re-opened under Alain Ducasse’s leadership in 2007, the 95 seats restaurant gained a 16/20 mark from the Michelin Red Guide and was also well rated by the Gault-Millau gastronomic guide. On the first floor, the restaurant “58 Tour Eiffel” serving simpler food, covers two levels, offering views of Paris and the metal structure of the tower. 23. When exactly is the Eiffel Tower lit up at night? Thanks to a magical display of lights at night-time, the Eiffel Tower glitters for ‘5 minutes précieuses’ from night fall until 1.00 am, on the hour. One of the best spots to enjoy the show is from the top terrace of the Montparnasse Tower, aligned perfectly with the Eiffel Tower, with the skyline of La Défense in the background. The light display is made up of 20,000 bulbs, linked by 40 km of cable. 24. When was the best fireworks display? For many Parisians and visitors, the consensus is unanimous. The best fireworks that ever took place around the Eiffel Tower happened on the 1st January 2000 at midnight. The most incredible pyrotechnic display lasted 6 minutes. The tower looked like a rocket ready to take off. It was considered by the Parisians as good as Sydney’s New Year’s Eve fireworks. “Shorter but more beautiful” was the City of Paris’ motto. The only remaining feature of this ‘temps glorieux’ is the beam of light which sweeps the whole city of Paris (and its suburbs) in a 360 degree-radius. The light also takes us back to 1889. A similar light was used to illuminate the Paris sky with blue, white and red colours. However every year on Bastille Day, a free concert is organised at the foot of the Tower followed by amazing fireworks. 25. How much does it cost to climb to the top floor of the Eiffel Tower? €6.30 per child under 12. For children under 4, entrance is free! 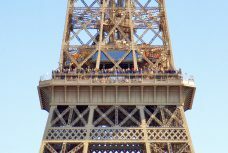 All the entrance fees and opening hours can be viewed on the official website of the Eiffel Tower, which features interesting information and facts about the monument. Will you consider visiting the Eiffel Tower soon? Share it with us!